3D Printing in the Indian medical sector is seeing a lot of progressive activity. In a span of four days we witnessed the inauguration of a new 3D printing facility and two children from the state of Karnataka received prosthetic limbs 3D printed at the same facility. India attracts patients from all over for its medical facilities & operations carried out at affordable rate. We recently heard news of AIIMS Doctors using 3D Printed implant to replace hip joint in first-of-its-kind Surgery in India and even know about the facial restructuring of a BSF Jawan through 3D printing. It seems the medical tourism is set to reach new heights when people across know the technological capabilities India has developed. Understanding such revolutionary capabilities, recently, a 3D printing facility for artificial limb manufacturing ‘Hastha,’ was inaugurated at Kasturba Hospital, on 20th July. 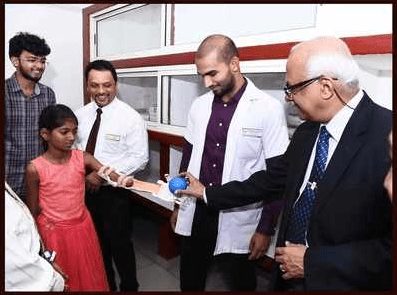 The two children were called at the same 3D printing facility and there they received their customised 3D printed artificial limbs on the 24th of July. Hastha (literally meaning Hand in Sanskrit), the Centre for Congenital Hand Differences was established under Manipal Academy of Higher Education (MAHE) through the unit of Hand and Microsurgery at the Department of Orthopaedics, Kasturba Medical College and Hospital. 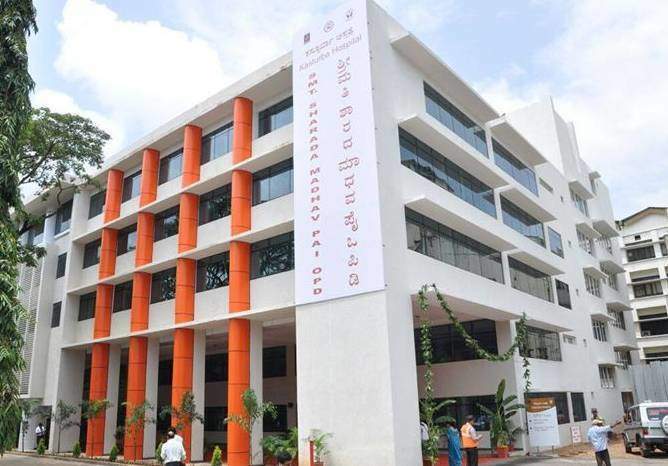 The facility was inaugurated by Dr. Vinod Bhat, Vice-Chancellor, of MAHE, Manipal. Prosthetic manufacturing has been revolutionised by 3D printing technology and children have been the biggest beneficiary of this development. Since kids show rapid growth in their physical structures, the costly prosthetics soon get obsolete and newer prosthetics have to be developed for their growing limb size. But such a proposition is too costly for even the well-to-do families. But now, 3D printing is helping people overcome is problem. By using 3D printing technology artificial limbs can be custom manufactured at super cheap costs. They are not only comfortable but can be developed for all sorts of disabilities and amputations. The 3D printable prosthetics are revolutionising the lives of disabled patients. The prosthetics industry is attractive for many NGO’s who have used the technology to reach out to remote communities and are helping millions of disabled people all over the globe to get back on their feet, literally. As per the hospital, the prosthetics made at the 3D printing facility can be personalised to any degree of amputation and can be task specific which allows kids to use different prosthetics for activities like playing, school work, or other daily tasks.